“Hey, pick me, pick me!” Invitations are pouring in for pollinators to stop on by. Bees snuggled into my rarely watered bearded iris, but they ate and ran. 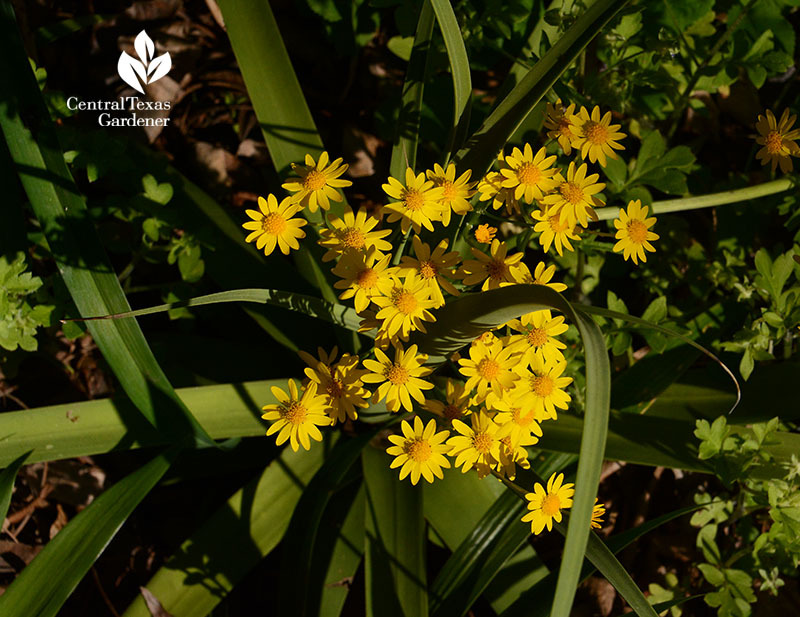 It sure looks like Agave bracteosa (squid agave) sprouted flowers, but this photo bombing spray is native golden groundsel (Packera obovata). 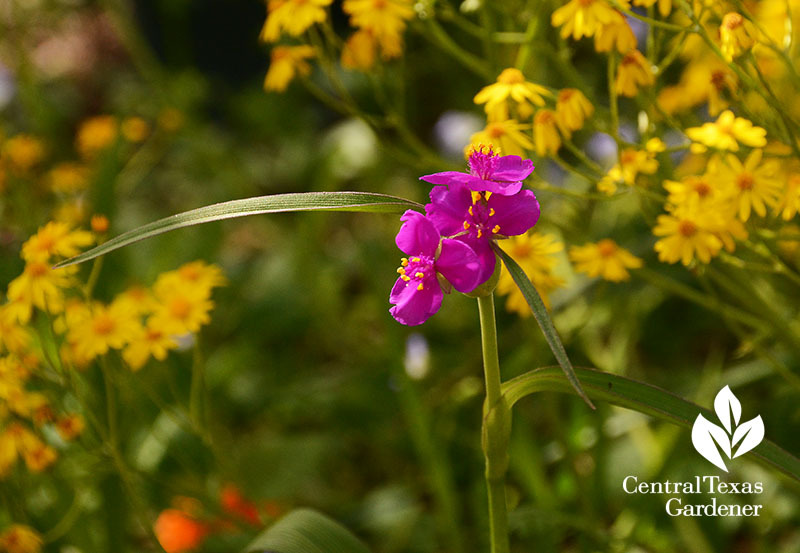 I swoon over this self-seeded arrangement in gold and magenta, thanks to a native spiderwort (Tradescantia gigantea) that knew how to add the perfect complementary touch. 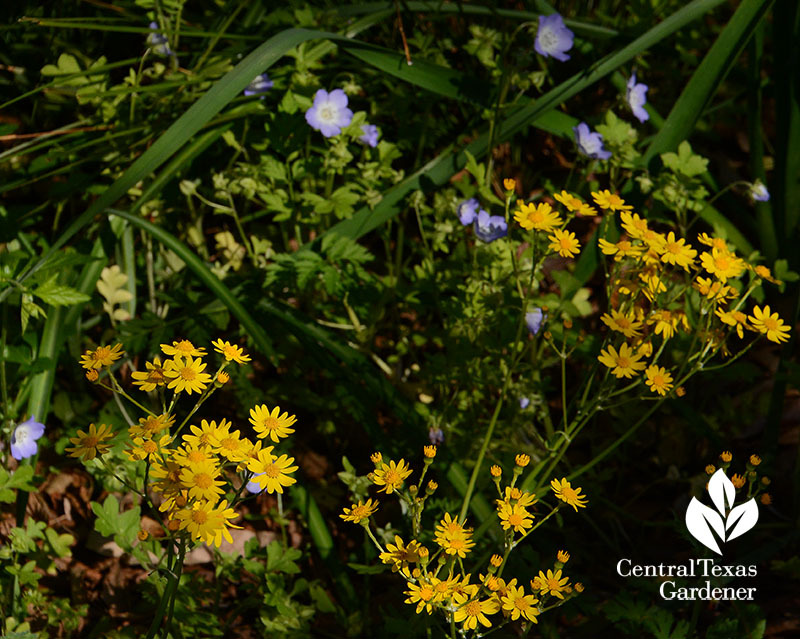 Gold and sky blue are just as unbeatable, thanks to native wildflower baby blue eyes. All these thrive in part sun in my island bed. 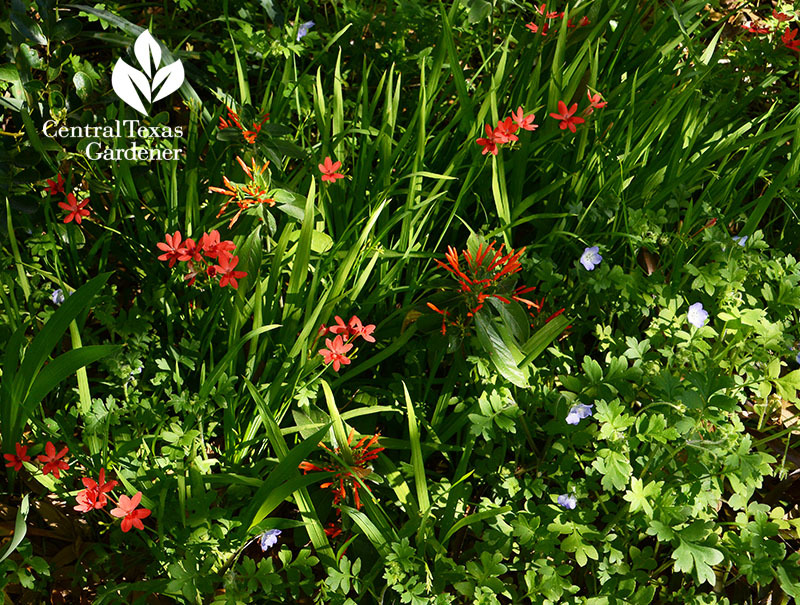 On the woodsy side of the yard, baby blue eyes seeded themselves to join perennializing coral Freesia laxa and sunset orange Mexican honeysuckle. How did I manage to create such romance? 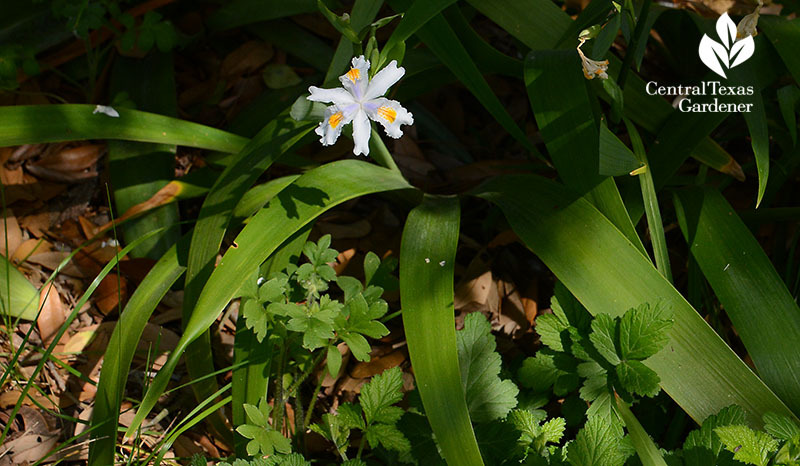 In that same area, under cover of a mountain laurel I grew from seed, evergreen Iris ‘nada’ pops out when morning sun glances over this mostly shady area. 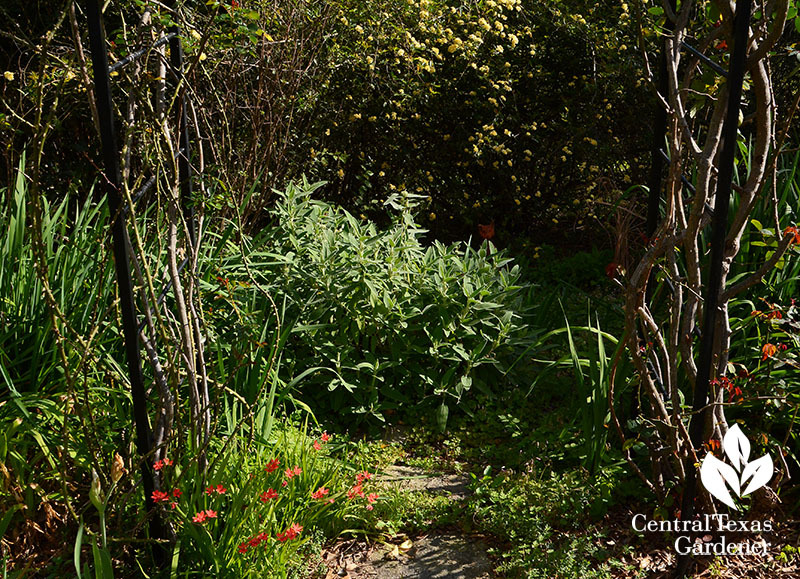 At the back of the garden, Freesia laxa corms dot the sunny rose arbor entrance, while Lady Banks blooms beyond, hiding the chain link fence. Sigh: I never got around to moving the now mammoth Jerusalem sage. Now that it’s about to flower, it’ll keep hogging the flagstone path for now. 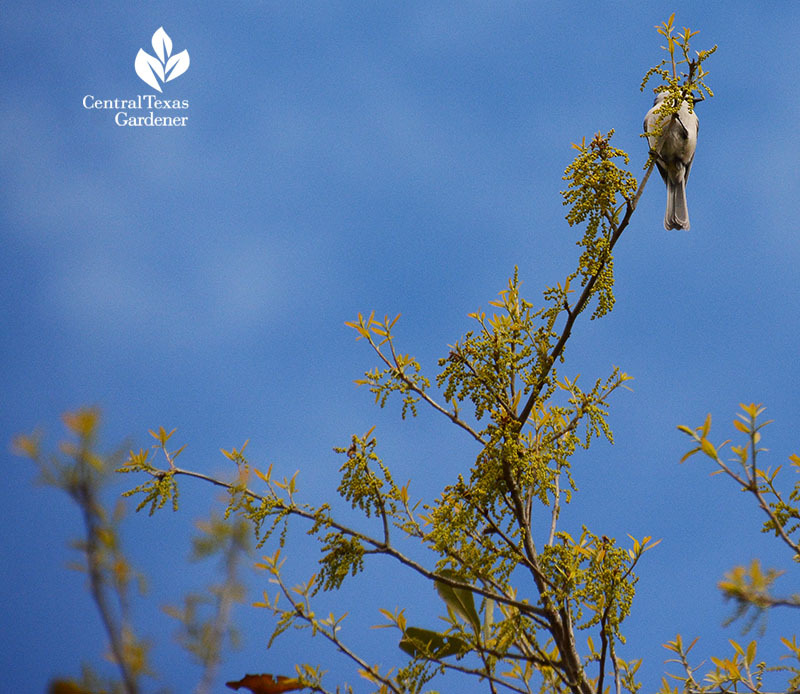 Atop the live oak tree we started from a free seedling—handed out by the City of Austin at a grocery store, long before TreeFolks came along—a mockingbird is heralding, “Pollen, pollen!” Now you know why you’ve been sneezing and wheezing along with me. 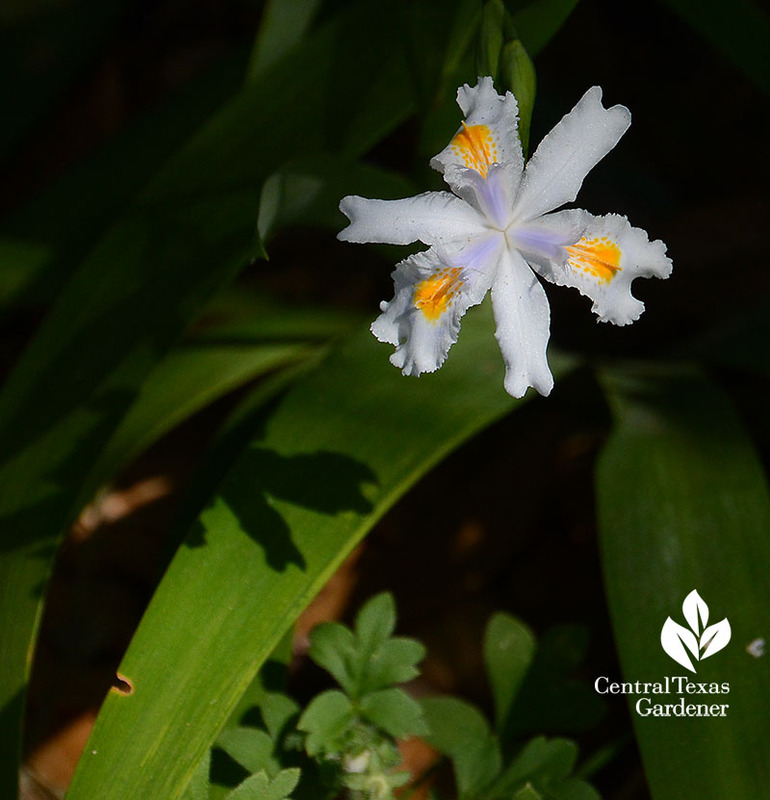 March 30: Peckerwood Garden’s first Budding Out Festival. 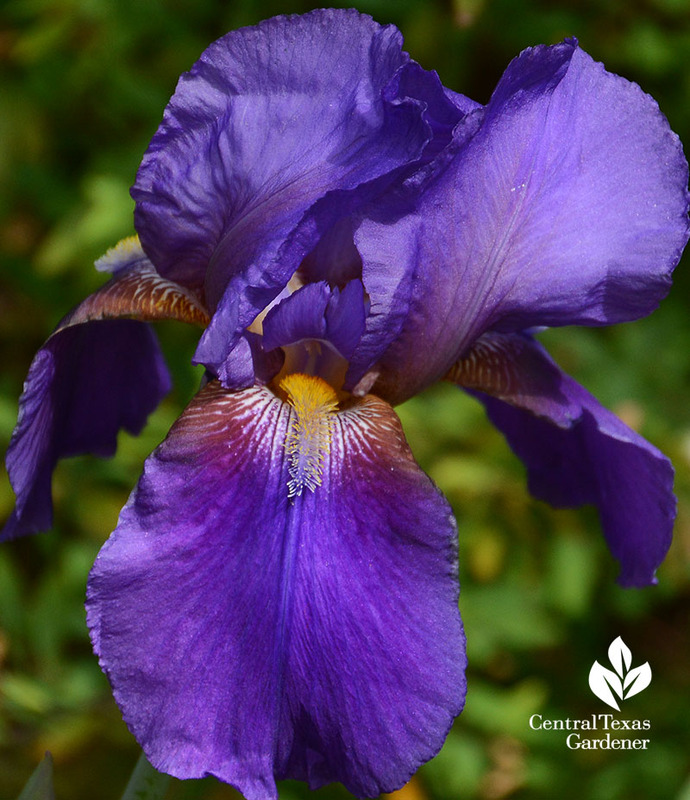 Specialty and rare plant sales, artists, crafts, live music. April 6: Mayfield Park’s annual Trowel & Error. Talks you don’t want to miss, plant sales, peacocks! Garden. Sushi, drinks and tours to support this historic garden. 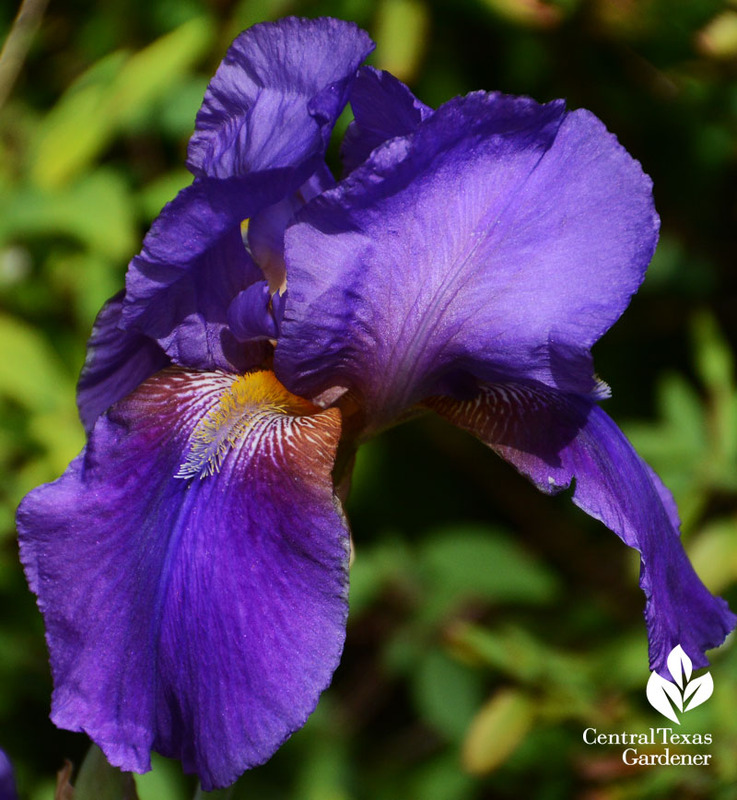 April 12 & 13: Lady Bird Johnson Wildflower Center’s Plant Sale. Native plant sales, talks. Members only on April 12, but you can join at the door. 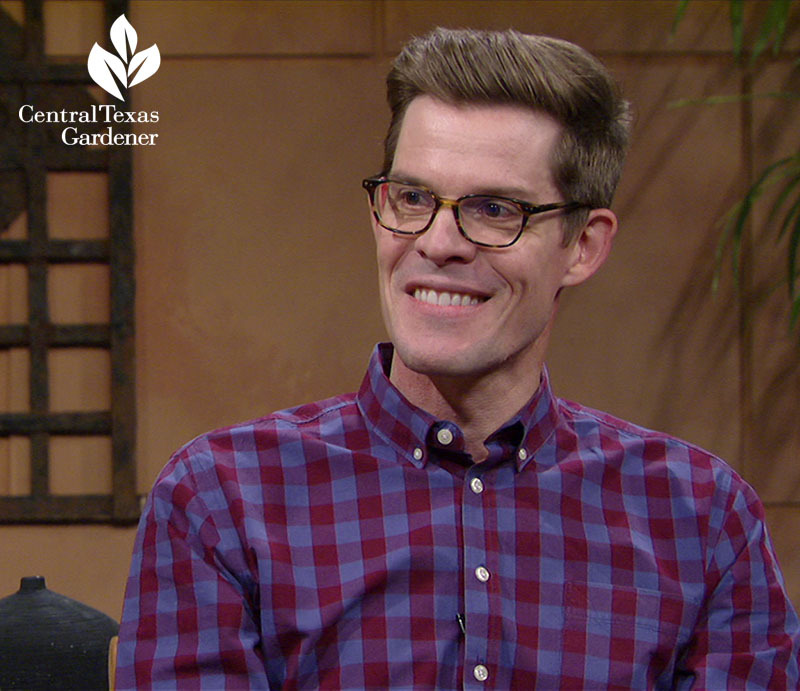 This week on CTG: In case you missed it, meet Joe Hanson, producer and host of It’s Okay to Be Smart for PBS Digital Studios. 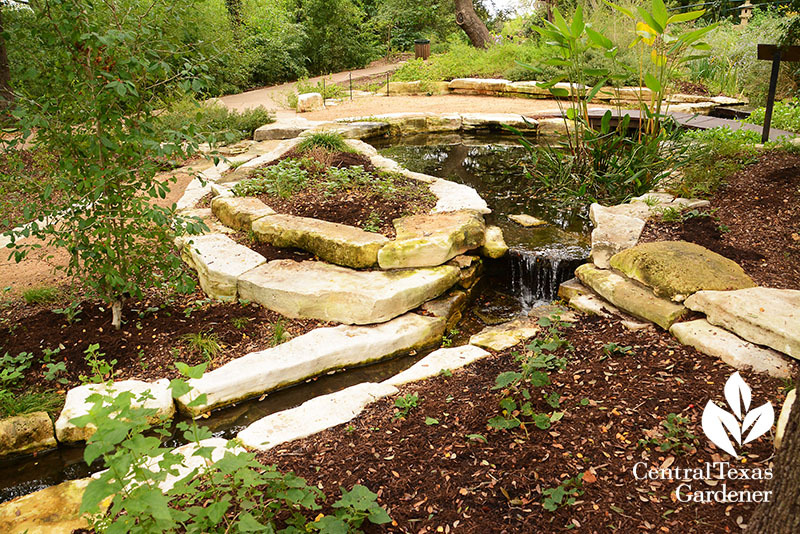 And at Zilker Botanical Garden, visit the newest addition—streambed, pond, riparian plantings and native shade habitat that connects to the historic Taniguchi Japanese Garden.